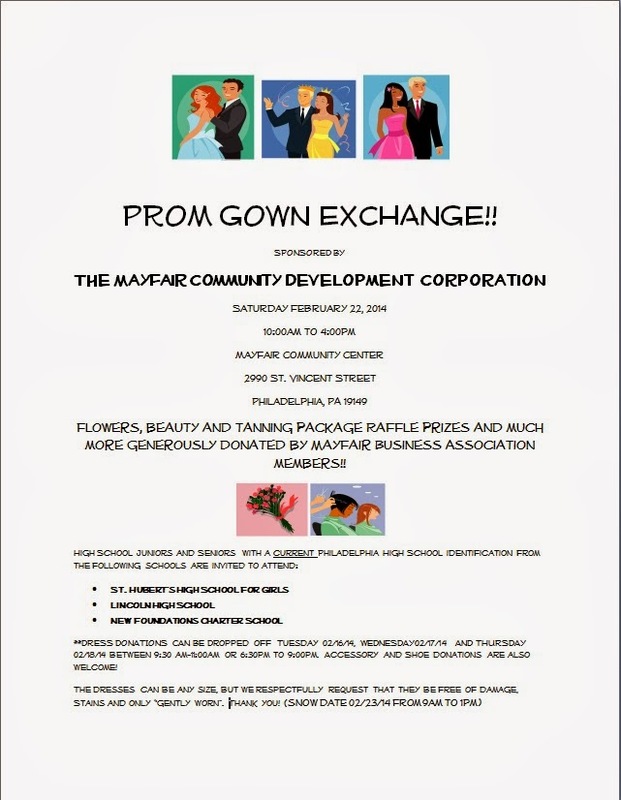 Mayfair Civic Association: Prom Gown Exchange!!! Hey Ladies!! Want to do some early spring cleaning? Do you or anyone you know have bridesmaid or prom dresses taking up valuable closet space? We would LOVE to give our local high school girls an opportunity to get their dresses for free at our Prom Gown Exchange sponsored by the Mayfair Community Development Corporation. Help us out by spreading the word and donating dresses, shoes and accessories!! We will also be holding raffles for beauty, tanning, and flower packages donated by Mayfair Business Association members!